Voltmeter Description: A voltmeter, also known as a voltage meter, is an instrument used for measuring the potential difference, or voltage, between two points in an electrical or electronic circuit. Some voltmeters are intended for use in direct current (DC) circuits; others are designed for alternating current (AC) circuits. 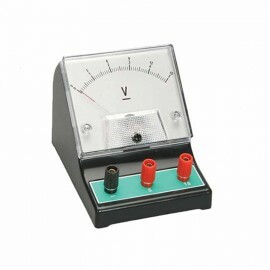 Specialized voltmeters can measure radio frequency (RF) voltage.